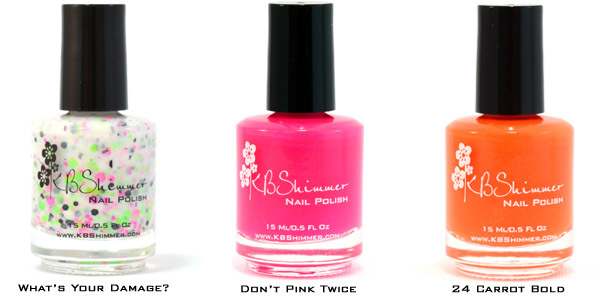 Blinded By The Bright – Neon yellow polish with a scattering of hex glitters in the 6 primary and secondary colors. 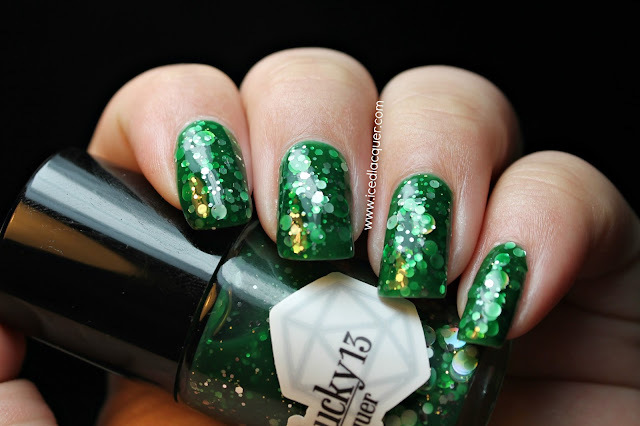 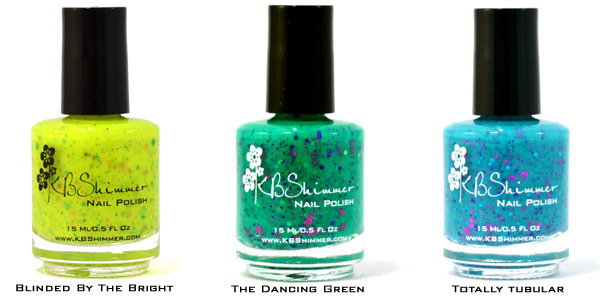 The Dancing Green –A almost neon green with blue undertones, accented by fuchsia, sapphire, green and chartreuse glitters in different shapes and sizes. 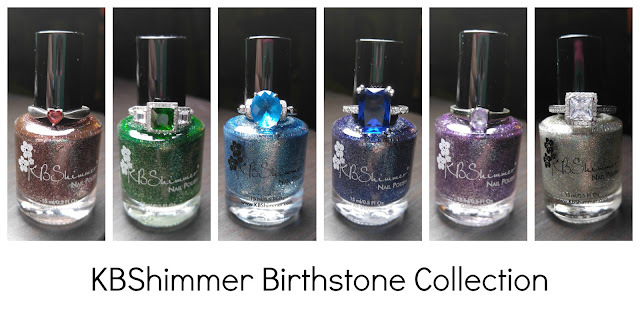 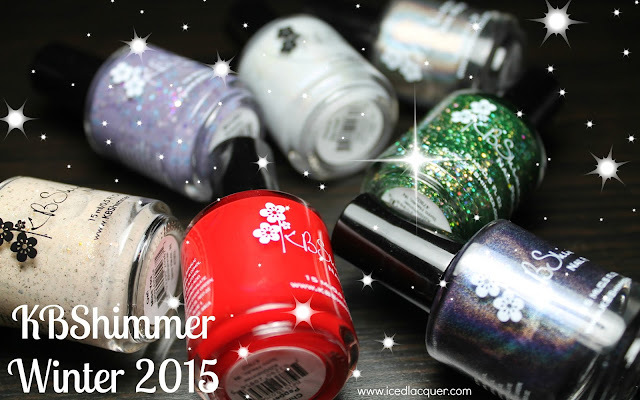 This fantastic lineup will be available on June first from http://www.kbshimmer.com/ and http://www.harlowandco.org/. 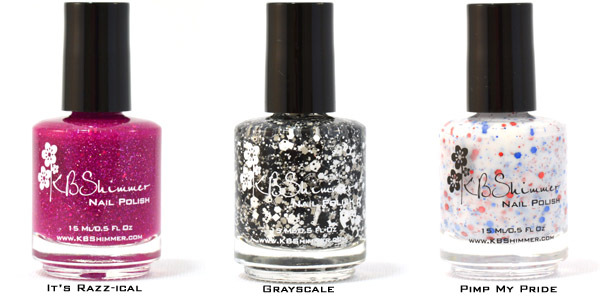 Which shades are your favorite?